Miracles are not for the deserving, but for the believing! Deep within every person is a longing for the miraculous. Click here for a Sample of The Anatomy of a Miracle. Miracles are not for the deserving, but for the believing! Deep within every person is a longing for the miraculous. When we slow down enough to listen to the intuitive voice that speaks from within, we know miracles should be experienced with the greatest of ease. Yet, the hope for the miraculous is clouded by the many voices that make miracles seem difficult or even unattainable. The promise of miracles has been so complicated by religious legalism, mystical ritualism and perfectionist idealism that they have been pushed beyond the horizon of hope. But today, in The Anatomy of a Miracle, hope will return. Regardless of your personal beliefs, you will be able to connect with the immutable laws of the miraculous. This book is not religious, yet it honors thousands of years of religious teaching. It is not scientific, yet it uses modern scientific discovery to explain the concepts of the miraculous in words that make sense to the twenty-first century mind. It is the perfect marriage of science and faith. 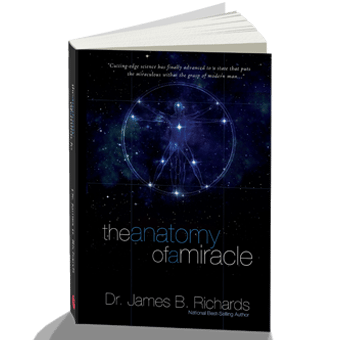 In The Anatomy of a Miracle Dr. James Richards explains in understandable terms exactly how to experience your miracle. Using the language of quantum physics and truths from ancient times, really the two do go together, he describes step by step the process through which you can live the life you ve always desired. Miracles are part of the fabric of humanity! Once you discover these immutable laws, living in the miraculous will be as natural as breathing! Has changed my life in an incredible ways!!!! If you’re open to miracles and the unseen world, you NEED to read this!!!! Excellent book! I read it and re-read it often as I can. Great principles are laid out for anyone desiring a better understanding of living on a spiritual plane. Jim is always right on , just receive and flow naturally in the life of Christ within you! Let HIS love flow! 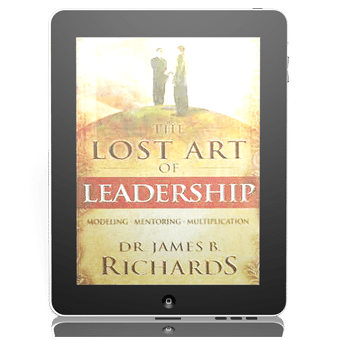 Dr. Jim Richards is so good at speaking in a language I understand when it comes to things that are beyond our ability to see. It isn’t easy to capture the invisible realm and put it on paper so people understand how to obtain it. This book helped me understand that for many years, the miraculous has been made into something that seems difficult to grasp, yet, it isn’t. Anyone can put into practice what he teaches in this book, and the life God wants us to live will begin to take shape. Wonderfully written. It has changed my faith level to the highests it has ever been before. Complex views explained in simple ways. New ways of thinking, yet true to the Bible. At first thought there were New age ideas, but found the author to be solid. Deists will post their angry screeds because their faith does not work for them, and their rage is evidence of that fact. This book gives an excellent discussion on miracles. We have all seen and experienced miracles in life, and it is obvious that some people “attract” more of them than others. Why? Jim Richards opens it up for discussion. That’s all. You can take it or leave it. I don’t think he is going to hell if he’s wrong. And, it’s not like he is demanding signs and miracles as a prerequisite to faith. Give the book a read, then decide for yourself. Angry people just want to justify how they feel about their own faith, or lack thereof. Anatomy of a Miracle helped me accelerate growing in faith. Challenges to “believe” or encouragements that “all things are possible with God” didn’t help me learn how to increase my faith — they only made me guilty that I wasn’t growing as I wanted to in this critical area of spiritual development. This book provided practical tools to generate recognizable progress. I appreciated Richard’s emphasis on the need for evidence in order to have faith, and then how to recognize and accumulate evidence that gives my faith more substance. Quantum physics is a breakthrough because it was formerly thought, even by Einstein, that the universe was “hard-wired” down to the subatomic level. If the universe were completely deterministic, then humans would be nothing but robots. But in this physical reality, we can think, choose, and do some amazing things. Jesus could walk on water and multiply food. He did this as a HUMAN who was submitted to God and carrying out His will in the power of the Spirit. He told those who questioned Him that of Himself He could do nothing. Jesus was showing us all what God could do through a human who loved Him and understood faith. Jesus said we could all do what He did, and even greater things through faith and prayer. There was a time when church people thought that it was sinful to look through a telescope and that is why Galileo was put under arrest. I think there will be some who think this book is “out there” because they don’t keep up with what is happening in science. But I think it’s a groundbreaking book – and just a summary of many more books which need to be written along these lines. I agree that physical miracles happen simply by natural laws which we don’t yet understand, rather than some kind of magic. Most people who use microwaves have no idea how they operate, they just know it heats food. To me it is wonderful that there is always great faith, love, passion, and submission to God operating when I have seen miracles happen before my eyes. This is an overwhelmingly wonderful universe which God created and expressed Himself through. Things go far far deeper than we can imagine. Let’s keep exploring it and keep up the dialogue. After reading The Anatomy of a Miracle, I decided to have a book club on the material in which we go over the text, thought by thought and discuss the ideas, comparing it to cutting edge research and to scripture. We are now on our second time through the book and have gained amazing insight into the limiting beliefs we accumulate throughout our lives and how they affect our experiences. 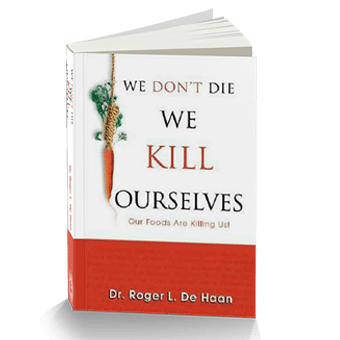 Thankfully Dr. Richards does not stop there, but he offers several opportunities and methods to change the beliefs that are limiting our lives, thus removing those limitations. These methods work. 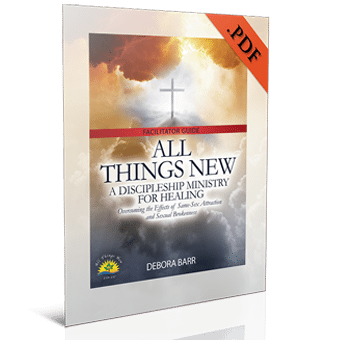 This is the most comprehensive understanding on how to live an abundant life I have ever encountered in 50 years of trying, reading, research, and church attendance. Much hope can be found here-changing your circumstances is possible. This book also angers people. Personal responsibility is a big part of effective change, and those who are “waiting on God” will most likely find out one day He was “waiting on them”. The laws of the miraculous work for anyone – just like gravity does. People who believe they qualify for miracles based on performance don’t necessarily like the fact that anyone, regardless of their past can live a miraculous life full of good health, rewarding relationships, financial stability, and freedom from helplessness and hopelessness. Do yourself a favor and read this book. Then decide who you want to be and how you want to live. It really is up to you. For those of you who fear deception, trust the Holy Spirit. He is here to teach you the truth. You can trust Him to do that. It is fear, more than anything else that keep us from living in the abundant life God desires and provided for us.